Currently attempting to use two instances of the module Articles - Category. However, the results for both listings always end up the same. The problem maybe in the fact that I'm referencing the same category but with different ordering and filtering. 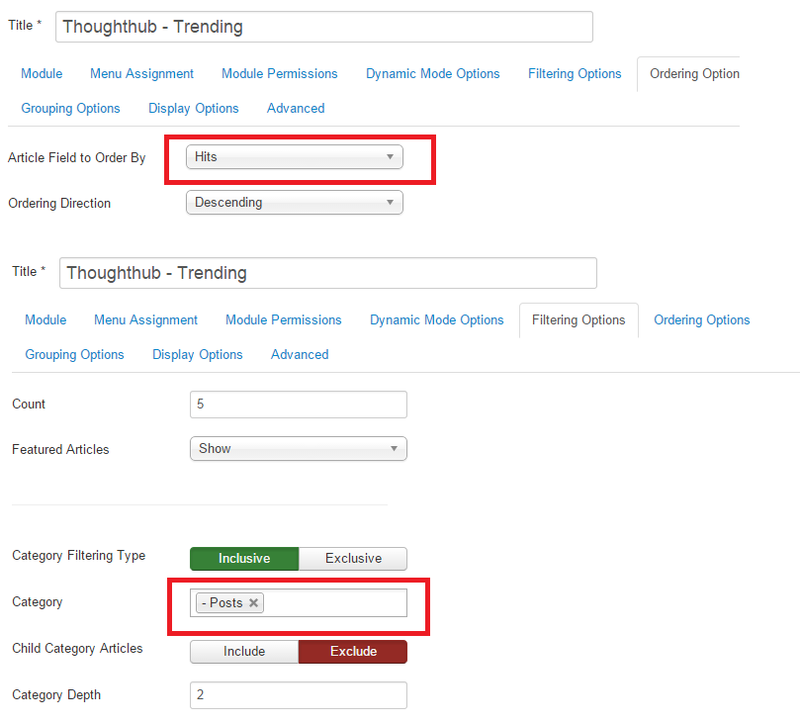 For example, I have one list ordered by Hits (Trending) and the other by Published Date (Latest). As you can see in getStoreId method in articles model, there is not ordering. So this means that getItems method thinks that these results are already in cache and returns it. You alternative would be to change something that is in getStoreId and then it woulde treat models with different results. For example make two different authors, who won't have any articles and mark them to different modules (one to latest, another to trending). 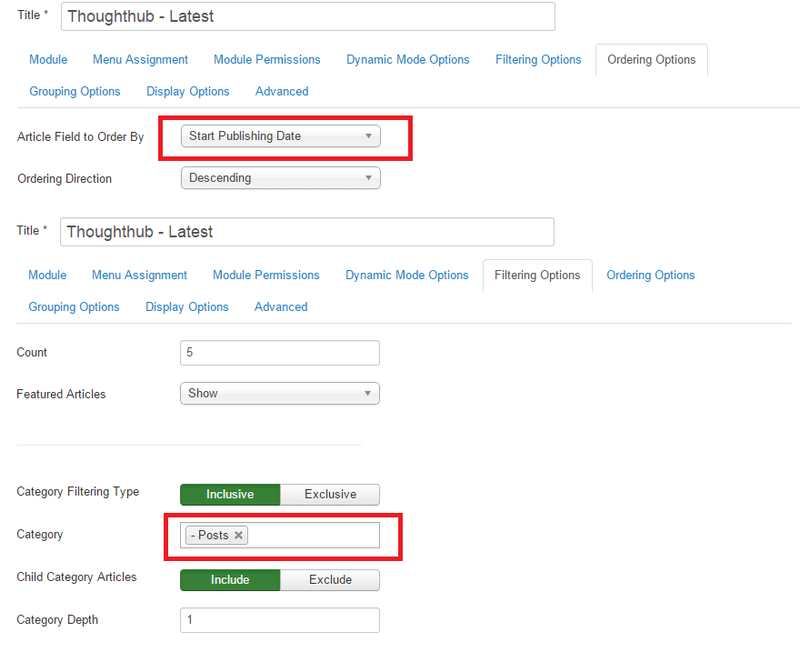 Exclude these authors articles, and it should work like two different modules. This is something that Joomla! community should work with. Can you create issue for it? Not the answer you're looking for? Browse other questions tagged module extensions module-params or ask your own question.